Patient Speculation: What sports traders/punters can learn from the boy scouts. What sports traders/punters can learn from the boy scouts. I also have phone numbers and TAN ready for use but I afraid it doesn't help you when Betfair's servers are down or when Bf testing their stuff like they did yesterday. I have Geek's Toy on my main PC and Gruss BA ready for use on my 2nd PC. I also have market open in web browser on my second PC just in case there are API issues and trading software is not usable. I think another/mobile Internet connection is a must when playing with big stakes....just in case. The two pieces of advice brought home to me the fact that I (and I suspect a lot of other traders) do not prepare enough for trading the markets. I also believe that lack of preperation is one of the reasons for my lack of success. I guess it boils down to patience again, wanting to get involved in the action and skimping on the preparation. Two points from the above quotes really brought that fact home to me, the first is where the sports trading life author says “ I guess it just depends on how dedicated you are!” and the other is where the toy trade after showing that he has more extensive contingency plans than most traders, still asked the question “do you have and advices ?” In other words he is still looking to perfect his preparation. What I am trying to say is that most us that are involved in the sports markets want to be successful and we believe that we deserve to be successful, however how many of us are really prepared to put all of the work involved in order to become successful. 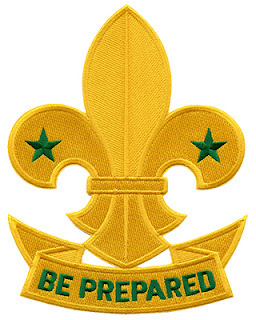 One step that we can take is follow the example of The sports trading life author and The toy trader and use the boys scout motto "BE PREPARED"
A great read. It is all about dedication and focus - ultimately being prepared. I think that is why it pays to specialise because it helps iron out all of those basic problems which drive people crazy. It often seems the 'little things' that cause the biggest problems. It is a battle to be one's best. But it is something that must be a priority to achieve our goals. I could not agree with you more, I believe it is a culmination of not doing the little things that are important that eventually leads to the biggest problems and conversely it is the culmination of doing the little things that are important that eventually leads to the biggest successes. The problem is in our rush to get some action we can overlook the small but important things.